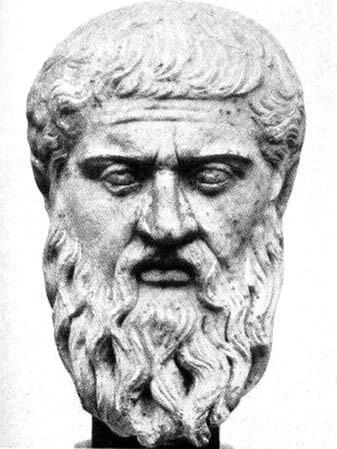 The case for humans being innately and uniquely endowed with a ‘language instinct’ rests largely on the ‘poverty of the stimulus’ argument, or what is sometimes called ‘Plato’s problem’: How do we know so much when the evidence available to us is so meagre? Is this really true? Is the stimulus really so impoverished? The quantity of the stimulus – i.e. the input available to a child – is certainly not impoverished: it has been estimated (Cameron-Faulkner et al. 2003) that children hear around 7,000 utterances a day, of which 2,000 are questions (cited in Scheffler 2015). This suggests that in their first five years children are exposed to 12.5m meaningful utterances. At an average of, say, ten words an utterance this is larger than the entire British National Corpus (100m words), from which several hefty grammars and dictionaries have been derived. What about the quality? While it’s true that the speech between adults often includes ‘disfluencies’ of the type mentioned by Harris above, studies suggest that ‘motherese’ (i.e. the variety that caregivers typically use when interacting with their children) ‘is unswervingly well formed’ (Newport et al. 1977, cited in Sampson 2005). In one study ‘only one utterance out of 1500 spoken to the children was a disfluency’ (ibid.). Chomsky and his followers would argue that, even if this were true, the child will have little or no exposure to certain rare structures that, in a short time, she will nevertheless know are grammatical. Ergo, this knowledge must derive from the deep structures of universal grammar. One much-cited example is the question-form of the sentence with two auxiliaries, e.g. The boy who was crying is sleeping now. How does the child know that the question form requires fronting of the second of the two auxiliaries (Is the boy who was crying sleeping now? ), and not the first: *Was the boy who crying is sleeping now?, especially if, as Chomsky insists, the number of naturally-occurring examples is ‘vanishingly small’: ‘A person might go through much or all of his life without ever having been exposed to relevant evidence’ (Chomsky 1980: 40). The explanation must be that the child is drawing on their inborn knowledge that grammatical transformations are structure-dependent. A quick scroll through a corpus, however, reveals that the stimulus is not as impoverished as Chomsky claims. Pullum & Scholz (2002, cited in Sampson op. cit), using a corpus of newspaper texts, found that 12% of the yes/no questions in the corpus were of the type that would refute the ‘invert the first auxiliary’ hypothesis. (It is significant that Chomsky impatiently dismisses the need to consult corpus data, on the grounds that, as a native speaker, he intuitively knows what is grammatical and what is not. 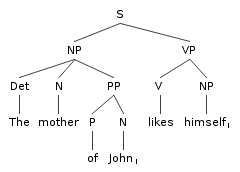 Unsurprisingly, therefore, generative linguists are constantly, even obsessively, fiddling around with implausible but supposedly grammatically well-formed sentences such as John is too stubborn to expect anyone to talk to and What did you wonder how to do? [cited in Macaulay 2011]). But even if it were the case that the (spoken) input might be deficient in certain complex syntactic structures, you do not need to hypothesize ‘deep structure’ to account for the fact that a question of the type *Was the boy who crying is sleeping now? is simply not an option. Why not? Because language is not, as Chomsky views it, a formal system of abstract symbols whose units (such as its words) are subject to mathematical operations, a perspective that ‘assumes that syntax can be separated from meaning’ (Evans 2014: 172). Rather, language is acquired, stored and used as meaningful constructions (or ‘syntax-semantics mappings’). Children do not process sentences from left to right looking for an available auxiliary to move. (They don’t even think of sentences as having a left and a right). They process utterances in terms of the meanings they encode. And meaning ‘isn’t just abstract mental symbols; it’s a creative process, in which people construct virtual experiences – embodied simulations – in their mind’s eye’ (Bergen 2012: 16). Thus, the child who is exposed to noun phrase constructions of the type the little boy who lives down the lane or the house that Jack built understands (from the way they are used in context) that these are coherent, semantic units that can’t be spliced and re-joined at will. Is the little boy sleeping? and Is the little boy who lives down the lane sleeping? are composed of analogous chunks and hence obey the same kind of syntactic constraints. What’s more, experiments on adults using invented syntactic constructions suggest that patterns can be learned on the basis of relatively little input. Boyd et al. (2009: 84) report that ‘even small amounts of exposure were enough (a) to build representations that persisted significantly beyond the exposure event, and (b) to support production.’ A little stimulus goes a long way. Bergen, B.K. (2012) Louder than words: The new science of how the mind makes meaning. New York: Basic Books. Boyd, J.K., Gottschalk, E.A., & Goldberg, A.E. (2009) ‘Linking rule acquisition in novel phrasal constructions.’ In Ellis, N.C. & Larsen-Freeman, D. (eds) Language as a complex adaptive system. Chichester: John Wiley & Sons. Cameron-Faulkner, T., Lieven, E. & Tomasello, M. (2003) ‘A construction based analysis of child directed speech.’ Cognitive Science 27/6. Chomsky, N. (1980) various contributions to the Royaumont Symposium, Piatelli-Palmarini (ed.) 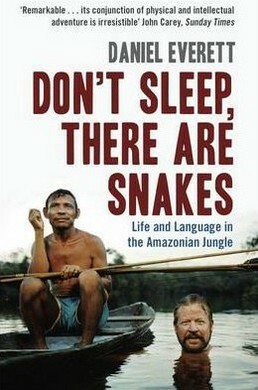 Language and Learning: The debate between Jean Piajet and Noam Chomsky. London: Routledge & Kegan Paul. Evans, V. (2014) The Language Myth: Why language is not an instinct. Cambridge: Cambridge University Press. Everett, D. (2012) Language: The cultural tool. London: Profile Books. Harris, R.A. (1993) The Linguistics Wars. New York: Oxford University Press. Macaulay, K.S. (2011) Seven Ways of Looking at Language. Houndmills: Palgrave Macmillan. Pullum, G.K. & Scholz, B.C. (2002) ‘Empirical assessment of stimulus poverty arguments.’ Linguistic Review, 19. Sampson, G. (2005) The Language Instinct Debate (Revised edition). London: Continuum. Scheffler, P. (2015) ‘Lexical priming and explicit grammar in foreign language instruction.’ ELT Journal, 69/1. 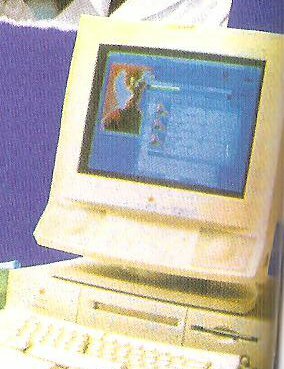 PS: There will be no more new posts until the end of summer and things calm down again. Words come out of the mouth and go into the ear. But they’re stored in the mind. And retrieved from the mind. And understood in the mind. They’re also learned in the mind. That, at least, is the conventional wisdom – especially from the point of view of cognitive psychology. ‘Language is instantiated in the minds and therefore the brains of language users, so that linguistics is to be regarded as a branch of psychology’. Thus argues Ray Jackendoff (2002: xiv). Chomsky, of course, took this view to an extreme: the observable messiness of language in use (or performance) ‘surely cannot constitute the actual subject matter of linguistics’ (1965: 4). Rather, ‘linguistic theory is mentalistic, since it is concerned with discovering a mental reality [or competence] underlying such behaviour’ (ibid.). 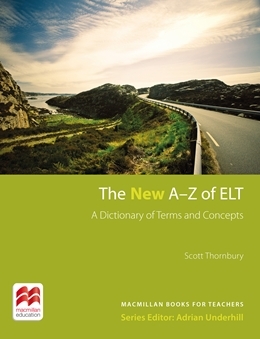 Theories of second language acquisition follow suit: ‘Second language acquisition is first and foremost a mental process – one that occurs in a behavioural and social context, to be sure, but fundamentally a matter of acquiring a new knowledge system. Cognition and cognitive factors, therefore, are central to any account of how and why SLA works’ (Long & Richards 2001, p.vii) . Anything else, such as the social contexts in which language is used, or the physical stuff of the brain itself, or even the body in which the mind/brain is housed, are considered marginal, messy, uninteresting – mere noise. Not only is language a mental phenomenon, according to this view, but the ‘mind’ of which it is a product is construed as a kind of computer (or as Pinker [1997: 92] charmingly puts it ‘the on-board computer of a robot made of tissue’). 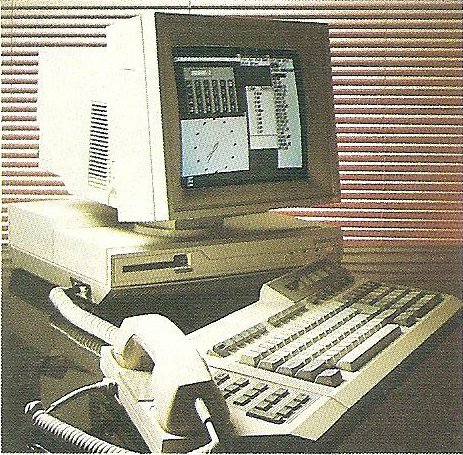 Hence, ‘mental life can be explained in terms of a computational process’ (Johnson-Laird, 1988: 26). Or, put another way, cognition – and, by extension, learning – is basically information-processing. Furthermore, because of the limitations on the amount of attention that humans can allocate to any particular cognitive task at any one time, this processing is necessarily controlled before it is automatic. In short, humans are ‘limited capacity processors of information’. Within this framework, second-language learning is viewed as the acquisition of complex cognitive skill. To learn a second language is to learn a skill, because various aspects of the task must be practised and integrated into fluent performance. This requires the automatization of component sub-skills. Learning is a cognitive process, because it is thought to involve internal representations that regulate and guide performance. 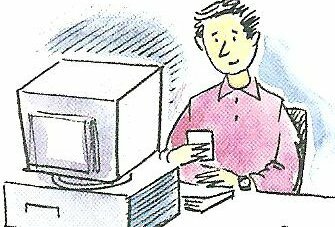 Because learning is a cognitive process, this ‘information processing’ view of learning is known as a cognitivist one, and the metaphor that best captures it is MIND IS COMPUTER. Associated with this model, therefore, we find a host of information-processing terms like input, intake, output, feedback, automatization, filters, as well as the term processing itself. And, because cognition is implicated, we find a further set of terms like noticing, attention, consciousness-raising, and restructuring. How does this actually impact on current methodology? On the one hand, you could argue that all these various models of mind and language operate at a level far removed from actual classroom practice, and that teachers carry on doing what they’ve always done – that is, teaching effectively. On the other hand, you could also argue that the ‘mind is a computer’ metaphor has percolated down (or up?) and underpins many of our methodological practices and materials, including the idea that language learning is systematic, linear, incremental, enclosed, uniform, dependent on input and practice, independent of its social context, de-humanized, disembodied, … and so on. It is a model of language learning that, arguably, turns the learner into an automaton – ‘a robot made of tissue’. As David Block (2003: 97) notes, ‘in the ideal world of cognitive scientists, the human mind is still conceived of as dependent on external stimuli to which it responds…The adoption of the computer metaphor of input-output does not disguise the fact that there is still a view of mental behaviour as systematic and mechanistic’. Is there an alternative model – an alternative metaphor, even? Language development is essentially a social process. These approaches view mind as distributed and learning as something inter-mental, embedded in social interaction. This means that individuals and environments mutually constitute one another and persons are not considered to be separable from the environments and interactions through which language development occurs. In this view, knowledge is not owned solely by the learner, but is also a property of social settings and the interface between person and social context. Extended systems theorists… reject the image of mind as a kind of input-output sandwich with cognition as the filling…. Instead, we confront an image of the local mechanisms of human cognition quite literally bleeding out into body and world. What, I wonder, would be the characteristics of a methodology that subscribed to this distributed, ‘leaky’, and co-adaptive view of mind? And, specifically, what are the correlates of input and of noticing, in this alternative to a computational, information-processing model of language learning? Block, D. (2003) The Social Turn In Second Language Acquisition, Edinburgh: Edinburgh University Press. Clark, A. (2011) Supersizing the Mind: Embodiment, Action, and Cognitive Extension, Oxford: Oxford University Press. Chomsky, N. (1965) Aspects of the Theory of Syntax, Cambridge, MA: The M.I.T. Press. Jackendoff, R. (2002) Foundations of Language: Brain, Meaning, Grammar, Evolution, Oxford: Oxford University Press. Johnson-Laird, P. N. (1988) The Computer and the Mind: An Introduction to Cognitive Science, Cambridge, MA: Harvard University Press. Long, M. and Richards, J. (2001) ‘Series editors’ preface’, in Robinson, P. (Ed.) 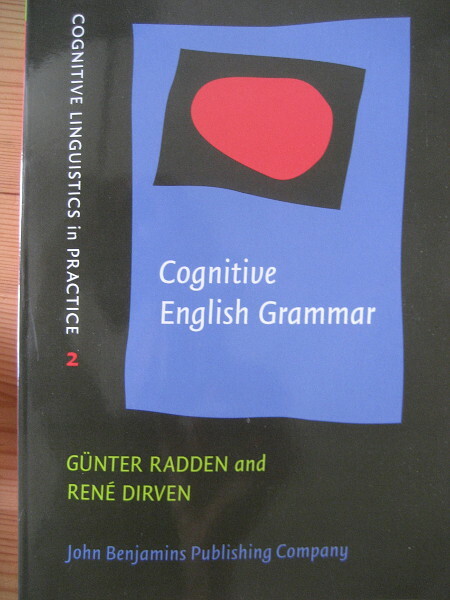 Cognition and Second Language Instruction, Cambridge: Cambridge University Press. McLaughlin, B. (1987) Theories of Second-and Language Learning, London: Edward Arnold. Pinker, S. (1997) How The Mind Works, London: Penguin. Listen! Repeat! Understand! The sequence below comes from an advert for a self-study language course – an advert that I have used countless times on training sessions to (gently) mock the folk theory that language acquisition (both first and second) is primarily a process of imitation – and imitation in advance of understanding, no less. The text of the advert spells it out: ‘You probably can’t remember, but at that time [i.e. when you were a child] you first reproduced sounds, then words, and then entire phrases without really understanding anything. Very quickly you were able to speak, understand and make yourself understood’. And of course they add, ‘This is the best way to learn any language’. It’s amazing how this notion has resisted the hatchet-job that Chomsky and his followers inflicted upon it so long ago. Mindless reproduction of the type described cannot of course account for the almost limitless creativity that even quite young children allegedly exhibit. Summing up the evidence, Lightbown and Spada (2006: 14) confidently declare that ‘imitation and practice alone cannot explain some of the forms created by children’, citing a figure of less than 10 per cent of children’s output as being directly imitative. So, if, in Chomsky’s terms, language use is rule-based creativity, and if performance is contingent upon competence, then it follows that we should teach (or have learners figure out) the rules of the language, so that they can generate their own meanings, rather than have them simply imitate a model. The learning sequence might better be summed up as Listen! Understand! Figure it out! Create! It’s something of a shock, therefore, to come up against this sentence in Vygotsky’s Thought and Language (, 1986: 188, emphasis added): ‘In learning to speak, as in learning school subjects, imitation is indispensable’. Or, as Lantolf and Thorne (2006: 166) gloss it, ‘Imitation is the process through which socioculturally constructed forms of mediation are internalised’. That is to say, the transition from skills (including linguistic ones) that are initially other-regulated to those that are self-regulated is engineered by – hold your breath – imitation. In fairness, and as Swain et al (2011: 58) point out, Vygotsky’s notion of imitation was a far cry from mindless parroting: ‘Vygotsky differentiated imitation from automatic copying. In Vygotsky’s view, imitation is a potentially transformative mechanism that is applied consciously and is goal-directed. Intentionality of the imitation, the reflection and examination of the results, and the subsequent revisions differentiates the action from simple mimicry’. This is reminiscent of Bakhtin’s (1981: 428) claim that, to make an utterance is to ‘appropriate the words of others and populate them with one’s own intentions’. Imitation, then, is like a benign form of plagiarism, in which the child cobbles utterances together, in a kind of cut-and-paste fashion, using whatever linguistic affordances are available in order to achieve their immediate communicative purposes. These linguistic affordances include, not only words, but multi-word chunks, such as lemme-see, I-wanna-do-it, etc, that, initially at least, are unanalysed into their component parts (Tomasello 2003). 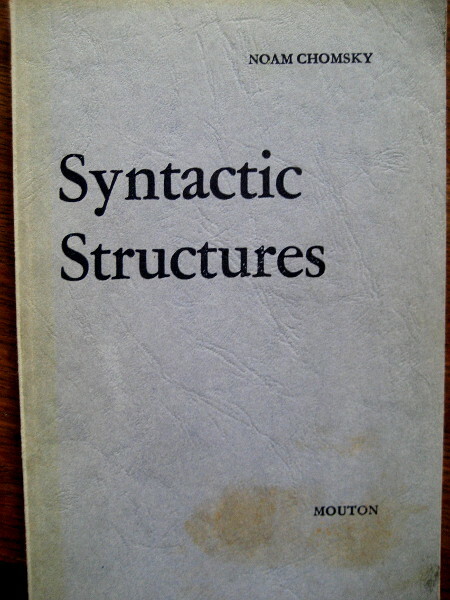 In this sense, they constitute what one scholar (Clark 1974: 1) has called performance without competence: ‘The important question is no longer whether imitation can help children to acquire syntax, but precisely how a child gradually extracts grammatical information from the repertoire of imitated sequences at his [or her] disposal’. So, to tweak our learning sequence yet again, maybe what’s happening is more like Listen! Imitate! Understand! Figure it out! – not a million miles from the Listen! Repeat! Understand! formula that I habitually mock. The question then is (as ever): how does this apply to the learning of a second language? How does one ‘populate the words of others with one’s own intentions’? Eva Hoffman (1998: 220), a Polish teenager learning English in the United States, describes the process of appropriation: ‘Since I lack a voice of my own, the voices of others invade me… By assuming them, I gradually make them mine. I am being remade, fragment by fragment, like a patchwork quilt’. In a similar, patchwork fashion, a student of academic writing will selectively imitate (or copy) features, both micro- and macro-, of a model text as a first step in discovering her own academic ‘voice’. If imitation is fundamental to first language acquisition, should we be integrating more imitation-type activities into our second language classrooms? And how can we ensure that, in order to be ‘transformative’, imitation meets the criteria that Swain et al. establish (2011: 59), i.e. that it is ‘deliberate, reflective, and accompanied by some kind of instruction’? Bakhtin, M.M. (1981) The Dialogic Imagination: Four Essays, Austin: University of Texas Press. Clark, R. (1974) ‘Performing without competence’, Journal of Child Language, 1, 1. Hoffman, E. (1998) Lost in Translation: A Life in a New Language, London: Vintage. Lantolf, J.P., and Thorne, S. (2006) Sociocultural Theory and the Genesis of Second Language Development, Oxford: Oxford University Press. Lightbown, P.M. and Spada, N. (2006) How Languages are Learned (3rd edn. ), Oxford: Oxford University Press. Swain, M., Kinnear, P., and Steinman, L. (2011) Sociocultural Theory in Second Language Education: An Introduction through Narratives, Bristol: Multilingual Matters. Tomasello, M. (2003) Constructing a Language: A Usage-based Theory of Language Acquisition, London: Continuum. 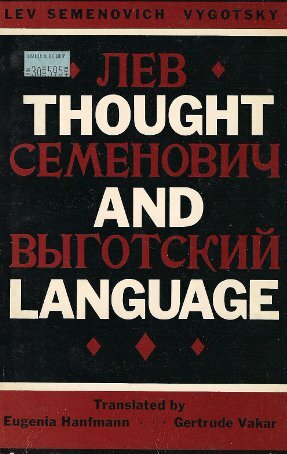 Vygotsky, L. ( 1986), Thought and Language, edited by Kozulin, A., Cambridge, Mass: The MIT Press. I’ve just seen this somewhat dispiriting documentary about Nim, one of a number of primates who have been sequestered, domesticated, scrutinised, feted, and ultimately abandoned in the name of linguistic research. 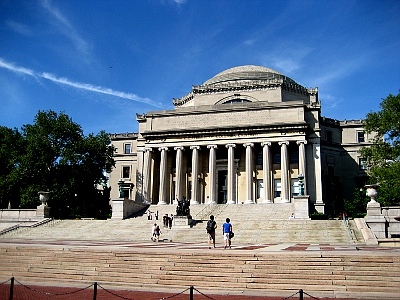 Even the shots of the Columbia University forecourt that I walk through every day failed to enliven a story of wanton cruelty, institutional pettiness, dodgy science and bad hair. The film charts a succession of sudden, traumatic abductions, starting when baby Nim was snatched screaming from his mother’s arms. Over a period of several years, with only humans to interact with, the young chimp was taught to sign, using an adapted form of American Sign Language, and acquiring a working vocabulary of several hundred words. When he outgrew his cute and cuddly stage, and/or when the funding ran out, he was packed off to a sort of primate Guantánamo Bay. The story is only slightly redeemed by the efforts of one of his former minders to track him down. Even in his hoary old age, Nim still retains a trace of his former competence, pathetically signing ‘play’ from within the bars of his prison. Frustratingly, the film hardly touches on the linguistic controversies that fuelled this research. In the 1970s, when this unhappy story took place, the debate as to whether only humans are innately equipped with a modular language acquisition device (LAD) was still a fairly hot issue. Not for nothing was Nim named Nim Chimpsky, in (cute) recognition of Noam Chomsky’s role as the leading protagonist of the debate. What was at stake was this: if highly intelligent apes, exposed to a similar linguistic environment as human children, could acquire an extensive lexicon, but fail to develop even the rudiments of a ‘grammar’, this would go some way towards supporting the view that humans are uniquely hard-wired for language acquisition. On the other hand, if evidence of syntax, however primitive, could be demonstrated, Chomsky’s notion of a ‘Universal Grammar’ (UG) would either need to be extended to nonhuman primates, or it would need to be re-evaluated entirely. And the findings? Nim’s vocabulary was impressive, but more impressive still was his ability to form two-sign, three-sign, and even longer strings: MORE EAT, HUG NIM, BANANA EAT ME NIM, etc. Moreover, a superficial analysis of the data would suggest that Nim was operating according to some kind of embryonic grammar, producing word order patterns not dissimilar to those of human children’s first utterances. For example, he consistently placed the sign for MORE in front of the sign it modified: MORE TICKLE, MORE DRINK, etc. But, as Jean Aitchison (1983) notes, “a closer analysis showed that the appearance of order was an illusion. Nim simply had a statistical preference for placing certain words in certain places, while other words showed no such preference” (p.55). However, as Roger Brown(1973) argued, with regard to similar results for Washoe, an earlier case study of primate signing, “While appropriate order can be used as evidence for the intention to express semantic relations, the lack of such order does not establish the absence of such intentions” (p. 41). This is because the use of appropriate word order, of the verb-object type, for example, as in GIVE BALL, is not strictly necessary, since the context in which the utterances are generated usually resolves any ambiguity. That is to say, the pragmatics of the situation renders syntax redundant. But if that is the case, why do (human) children show evidence of a proto-syntax right from the start? In the end, we don’t seem to be much the wiser as to whether the higher primates have a rudimentary LAD, despite all the anguish that was inflicted in trying to find one. Nor, for that matter, do we really know whether humans have an LAD either, or whether their faculty for language acquisition isn’t just a spin-off of their vastly more developed cognitive capacities. What we do know is that the chimpanzees who have been studied do not use their linguistic capacities in the same way as humans, even very young ones, do. Nim, for example, rarely initiated a conversation, and was unable to grasp the basics of turn-taking. As Aitchison (1983, p. 57) concludes, “Nim did not use his signs in the structured, creative, social way that is characteristic of human children”. In fact, Nim’s ‘language’ was simply a more elaborated version of the way chimpanzees use gestures and vocalizations in the wild: to regulate two-way social interactions such as grooming, feeding, and play. As Tomasello (2003, p. 11) puts it, nonhuman primate communication functions “almost exclusively for imperative motives, to request a behavior of others, not to share attention or information with others in a disinterested manner”. As someone once said, “Your dog can tell you he is hungry, but not that his father was poor but happy”. Aitchison, J. (1983). The Articulate Mammal: An Introduction to Psycholinguistics (2nd edn). New York: Universe Books. Brown, R. (1973). A First Language: The Early Stages. Cambridge, MA. : Harvard University Press. Tomasello, M. (2003) Constructing a Language: A Usage-based Theory of Language Acquisition. Cambridge, MA. : Harvard University Press. There’s no entry for X in the A-Z. If there were, one of the few candidates would be X-bar theory, which is in fact a (1981) refinement of Chomsky’s theory of language known as Transformational-generative (TG) grammar. (For what it’s worth, X-bar theory argues that all phrases – whether noun phrases, verb phrases etc – have the same structure, and that this structure is a linguistic universal, i.e. it’s common to English, Japanese, probably even Klingon). As I say, there’s no entry for X-bar theory. There’s no entry for TG grammar in the A-Z, either. 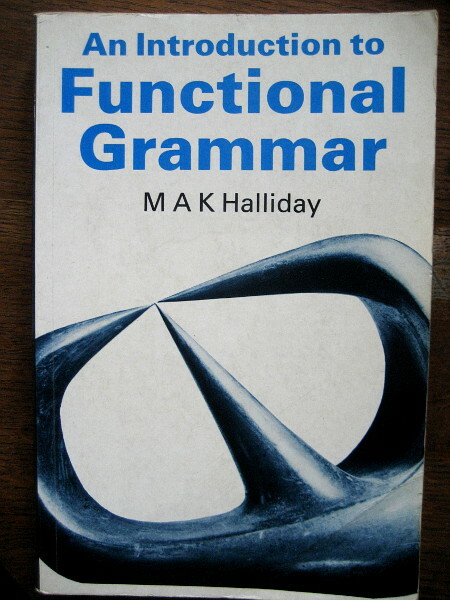 Nor for its predecessor, generative grammar. Nor for Government and Binding theory, nor the Principles and Parameters theory, nor the Minimalist program. In fact, there’s no mention of Chomsky or any of his theories in the entry on Grammar at all. This might strike some readers as odd, even perverse. At best, negligent. 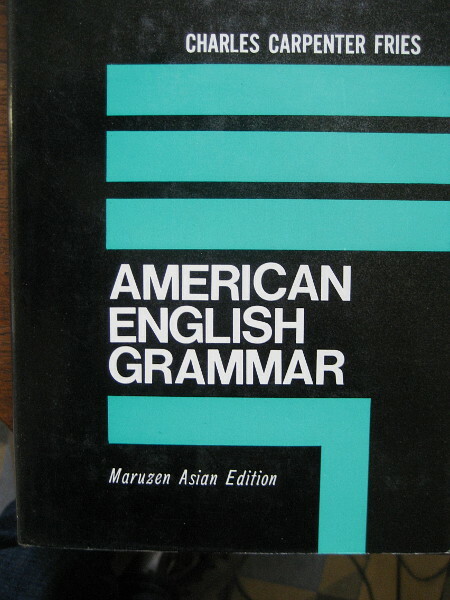 After all, the study of TG grammar (or any of its offshoots) is a key component of any self-respecting linguistics course on any MA TESOL program in the US. It is often the only theory of grammar that is studied. In fact, in many of the standard texts, such as Fromkin et al. (2007) An Introduction to Language, or the Ohio State University Language Files (ed. Stewart and Vaillette, 2001) it’s not even called TG Grammar, nor ascribed to Chomsky by name. It’s simply the grammar that is. The one and only. And, just in case you don’t know which one I’m talking about, it’s the one that involves the endless “tree-diagramming” of (invariably invented) sentences, like The child found a puppy and Where has Pete put his bone? (both from Fromkin et al.). Well, to be perfectly honest, I’m not sure that I really understand it. I can get my head around basic Phrase-structure grammar, even X-bar theory, and just about understand what Theta-theory is on about. But, as much as I want to get to grips with the Minimalist program (not least because it seems to be arguing a central role for lexis in determining syntactic structure), I’m struggling. In the end, all those upside-down trees leave me cross-eyed. 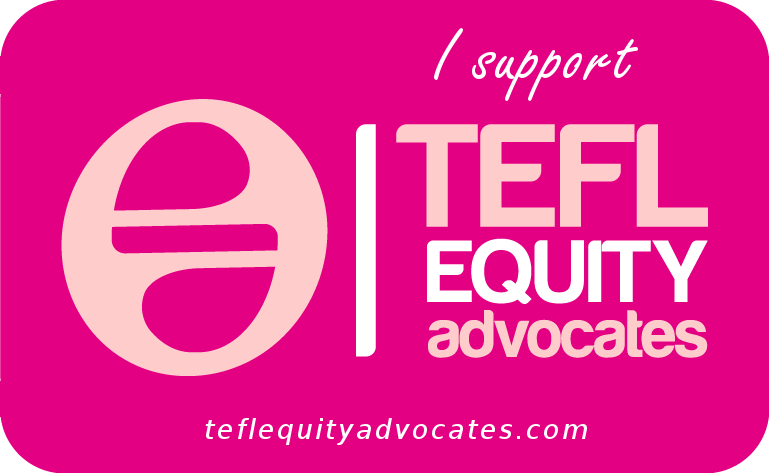 But there are more cogent reasons – both linguistic and pedagogical – for treating TG grammar cautiously, it seems to me. On linguistic grounds the theory seems flawed since it is based entirely on invented sentences in their written form. Try to apply the descriptive framework to spoken data – e.g. authentic utterances like: But the spa, you might want to use it, you know – and it just doesn’t fit. By the same token, TG grammarians will reject forms as being ungrammatical even when they are commonly attested (one of the texts I consulted disallows the sentence John bought what? for example). Chomsky’s dogged insistence on making the “well-formed” sentence the centrepiece of his theory of language seems to undermine the whole enterprise – this, along with the misguided notion that all sentences are generated from the word up, and are hence all entirely original. (Chomsky’s acolyte, Stephen Pinker, woefully betrays his ignorance of developments in corpus linguistics by claiming – in The Language Instinct – that “virtually every sentence that a person utters or understands is a brand-new combination of words, appearing for the first time in the history of the universe” (1994, p. 22) Compare this to the corpus linguist, John Sinclair’s (1991) claim that “by far the majority of text is made of the occurrence of common words in common patterns”). The blinkered disavowal of the validity of performance data is, of course, a side-effect of their (Chomsky’s, Pinker’s etc) mentalist agenda, which is to demonstrate both the universality and innateness of their grammar. This means cherry-picking your examples (and re-configuring your theory fairly regularly so as to accommodate new, potentially disruptive, evidence), while consigning anything that doesn’t fit to the damaged goods bin – the one labelled “performance”. Linguistics and its hyphenated fields have a great deal to offer to language teachers, but the fullest benefit can only come when their implications are integrated and formed into a sound theory of language pedagogy. Because linguistics is only indirectly applicable to language teaching, changes in linguistic theory or arguments amongst linguists should not disturb language teachers. So, why does the teaching of TG grammar (including X-bar theory) persist in the US academic context? And was I wrong to ignore it in the A-Z?